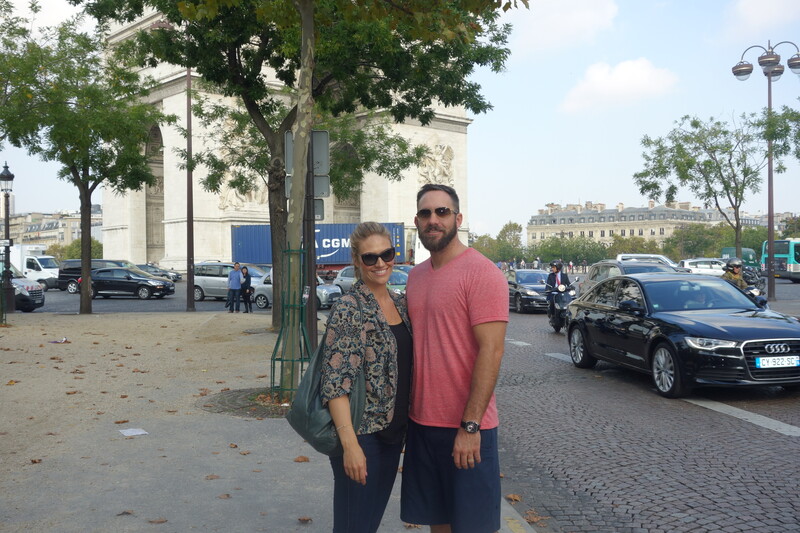 By this part of the trip our jet lag had worn off and we were really starting to settle into being in Paris and knowing the city a little bit. 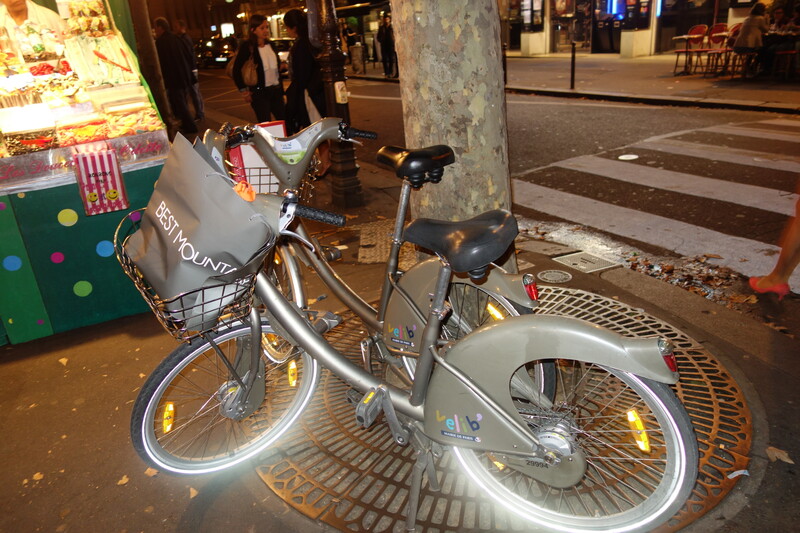 We spent another morning walking around our neighbourhood and the Marais district, and this was when we first discovered their amazing bike system. 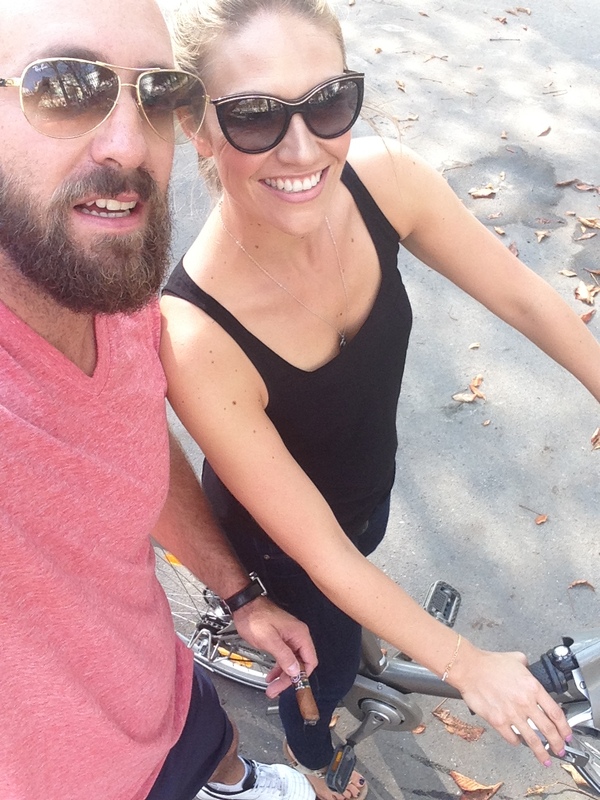 Once we started renting bikes we did it every day, we biked everywhere – all over the city. 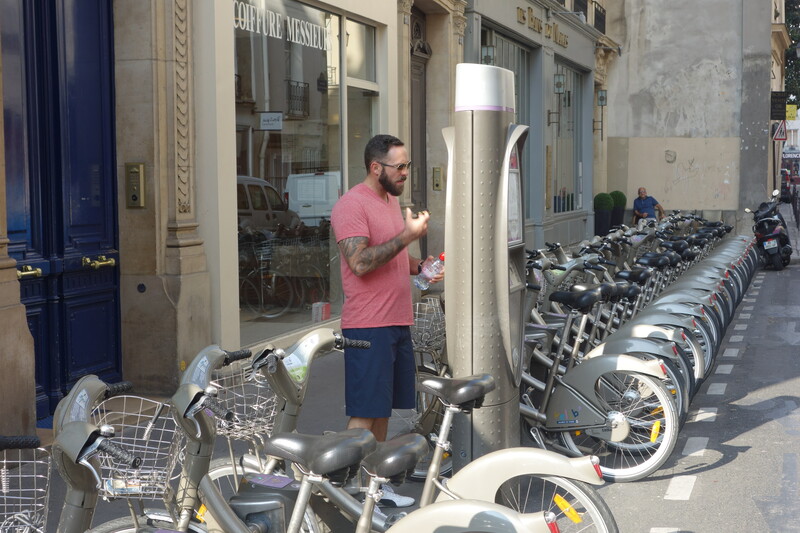 They have these bike rental stations where they lock in and lock out, you just put in your credit card to use the bikes for the day and it prints out an individual ticket and I.D. number that you can use for the next 24 hours. You can drop off the bikes at any bike station and then pick up another one at any station. 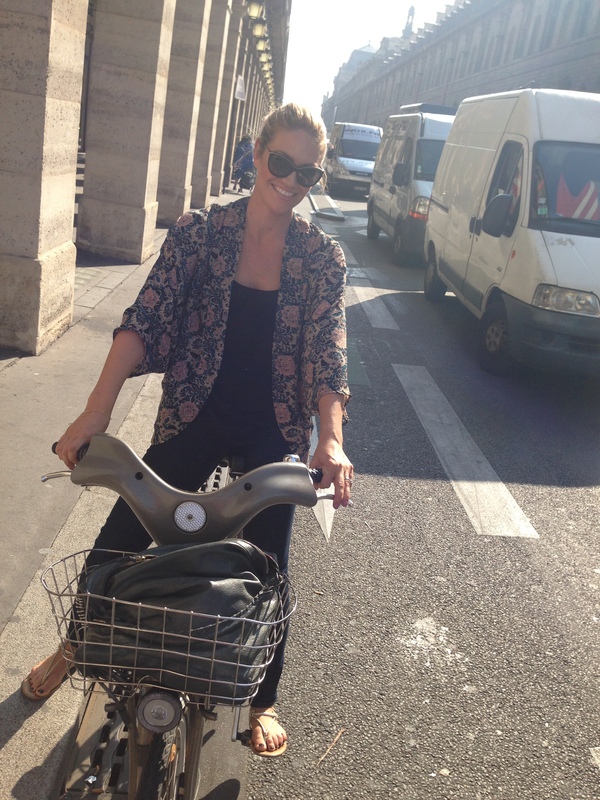 It is such a great system and biking the city was fantastic. At first the biking was a little terrifying. Even though the city is very bike friendly, you are really in the traffic. And it is such a busy city, tons of traffic and not as strict road rules as we are used to. 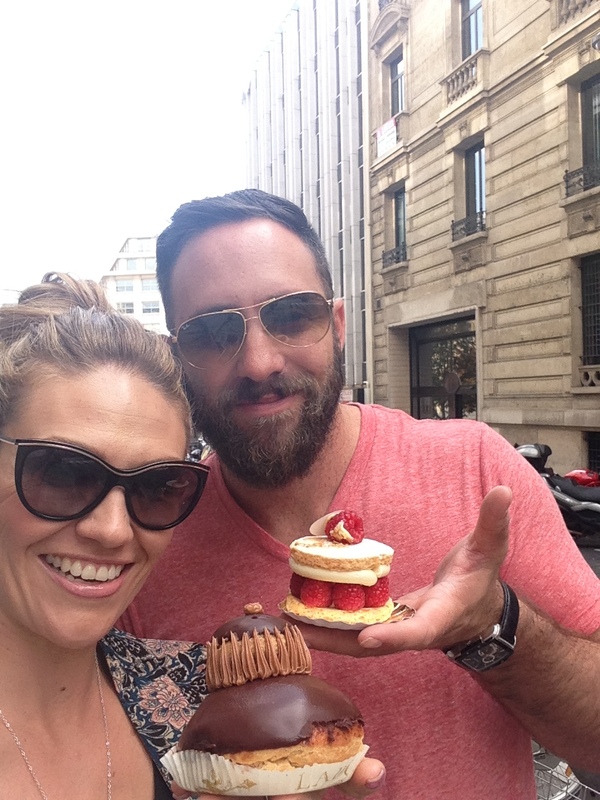 We made our way to Champs-Elysees to see the Arc de Triomphe, do some shopping and have some lunch. The Arc de Triomphe is so huge, any picture I’ve seen before did not do it justice. 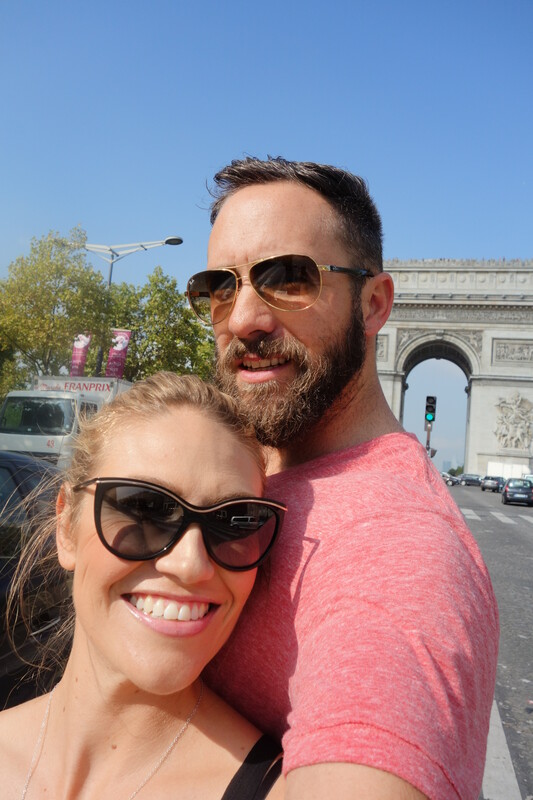 The Champs-Elysees is beautiful with lots of shopping and cafes but very very busy. Line up around the corners to get into stores, people everywhere, cafes full. We did some shopping while we were there, I got a jacket at a store called Blue Mountain which has tons of cute stuff. 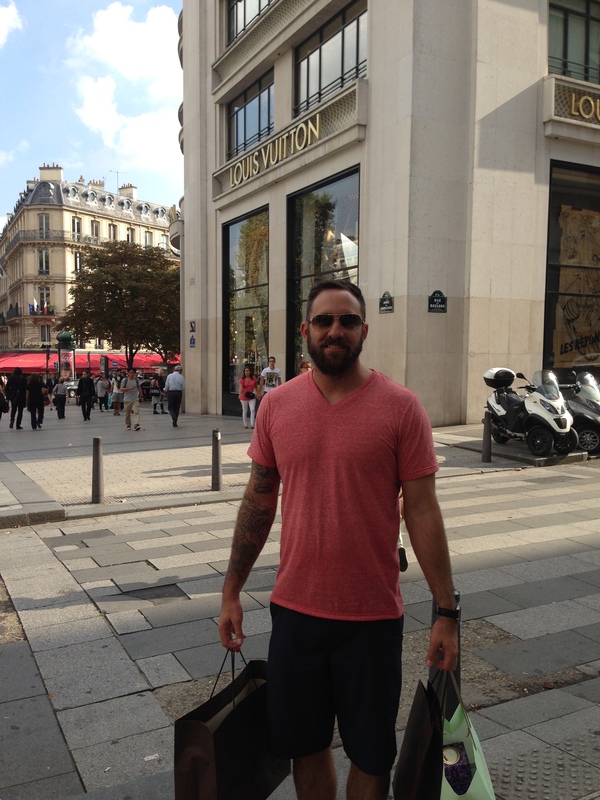 We also did some shopping at Louis Vuitton which has their flagship store here and it is amazing. Multiple stores, incredible service and when we got our wallets stamped with our initials they took us to the fourth floor on a private elevator and served champagne. It was pretty dreamy! 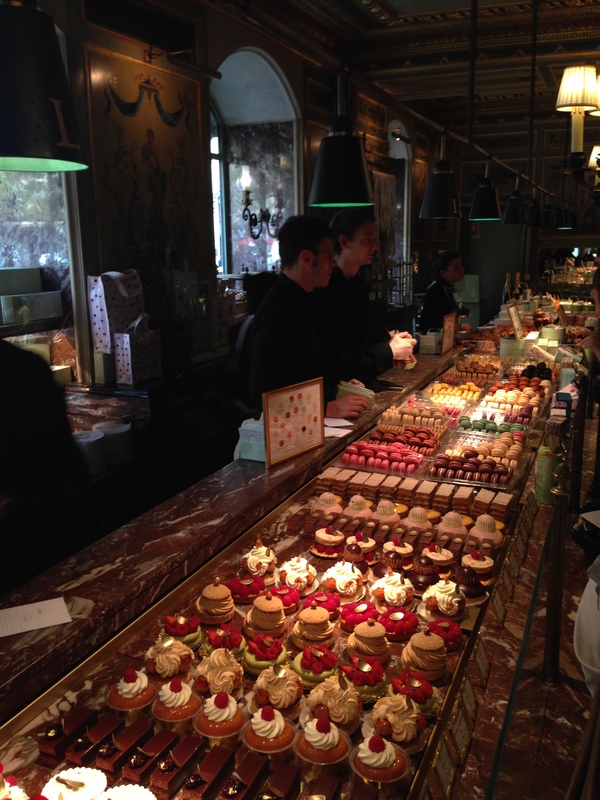 They also have a Laduree (a pastry shop with a ton of history) and it is so amazing. 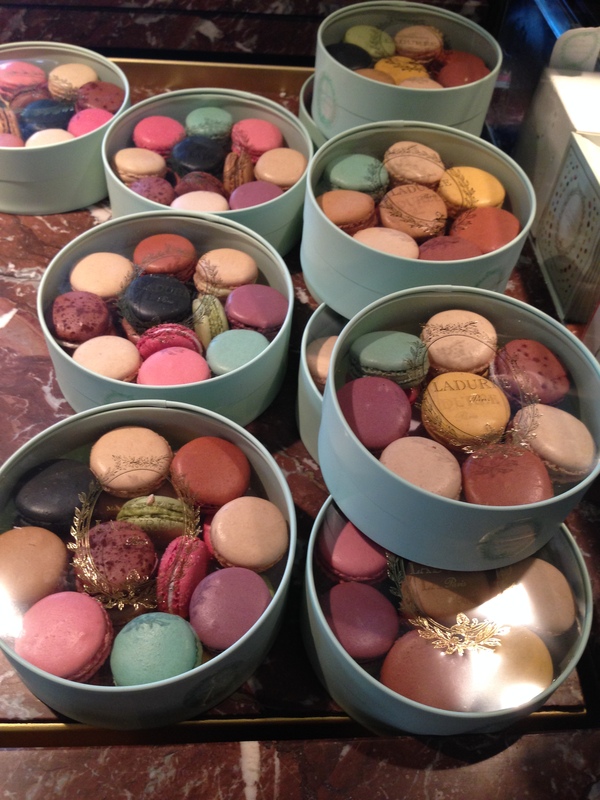 It’s macaroons in every colour of the rainbow, pastries, chocolates, teas. I can’t even put into words how insanely delicious the pastries are, I had a religieuse and oh my god there are no words. Best thing I have ever eaten. 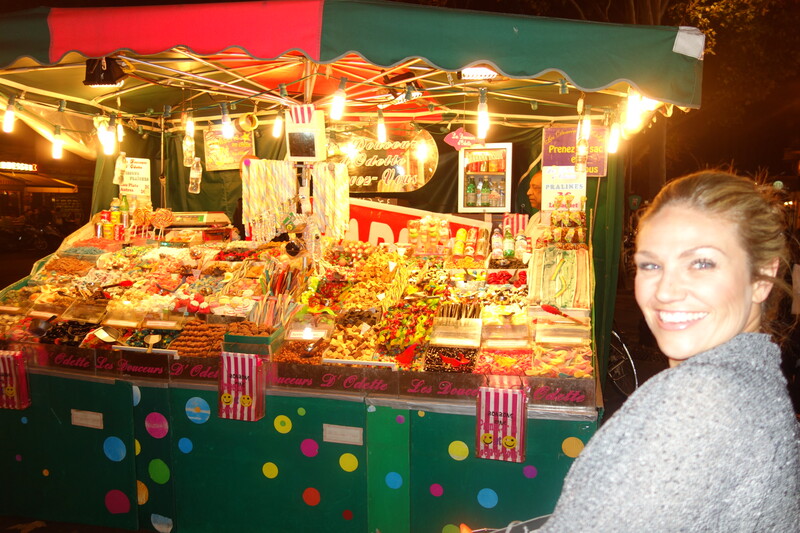 I absolutely loved going there, it is so charming and fun. 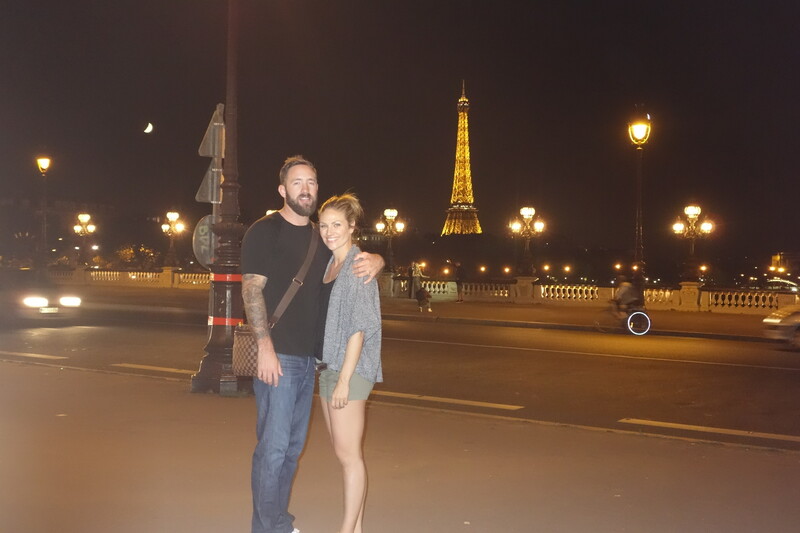 We spent that whole evening biking around the city, it was probably my favourite night of our whole trip. It was just so fantastic seeing the city this way and really romantic. 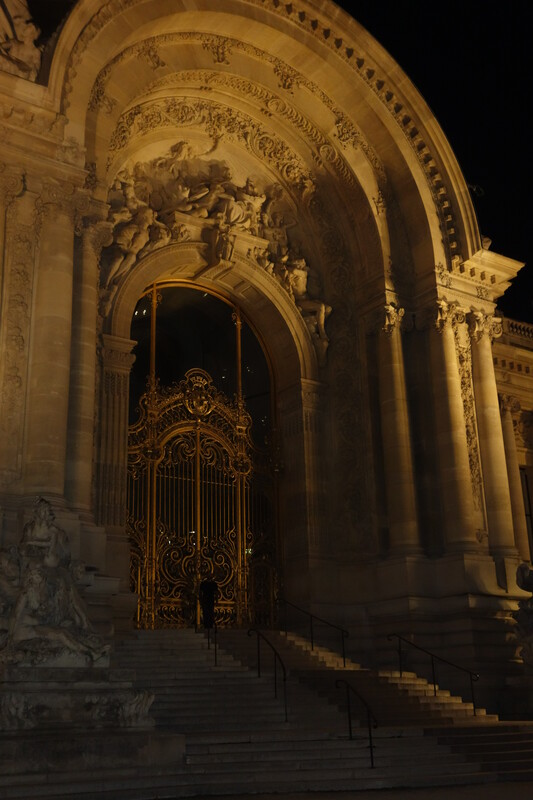 Petit and Grand Palais, right across the street from each other. 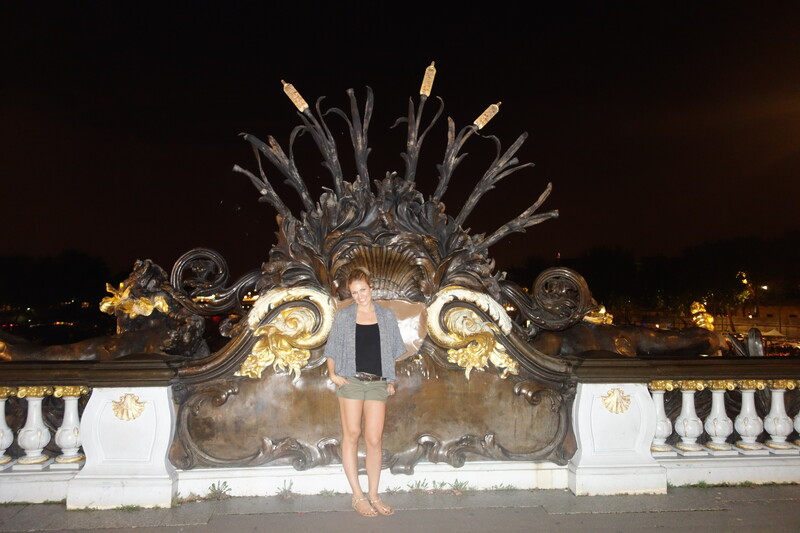 Pont Alexandre III, one of my favourite spots in the whole city, it is just so gorgeous with awesome views. Everyone spends so much time outside there, the streets are filled every night with people walking, talking, smoking, drinking! 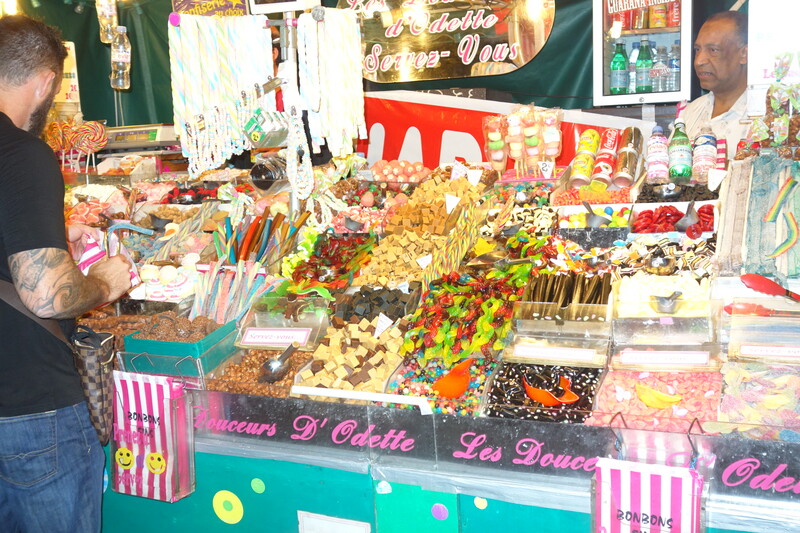 This candy stand just pops up around the city, then they close it up at the end of the night and haul it away. So good! 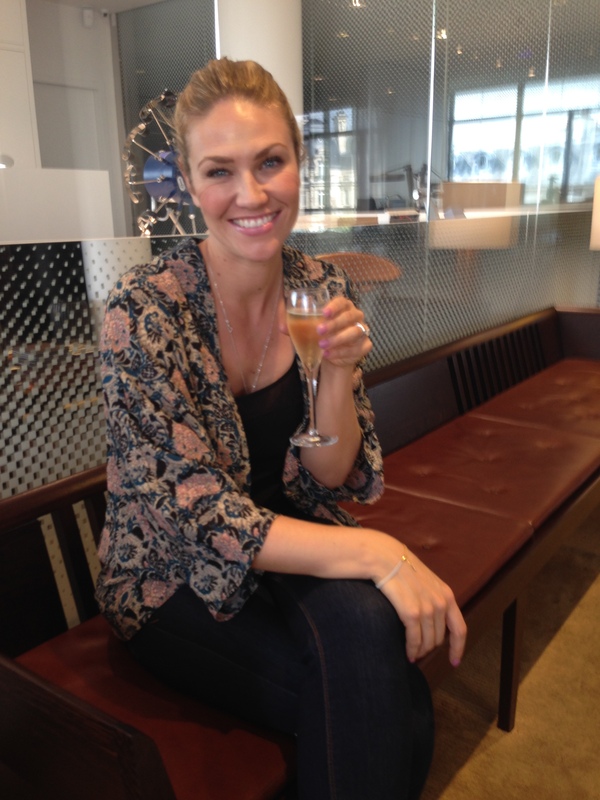 This was such a great day, I spent this whole post talking about it! 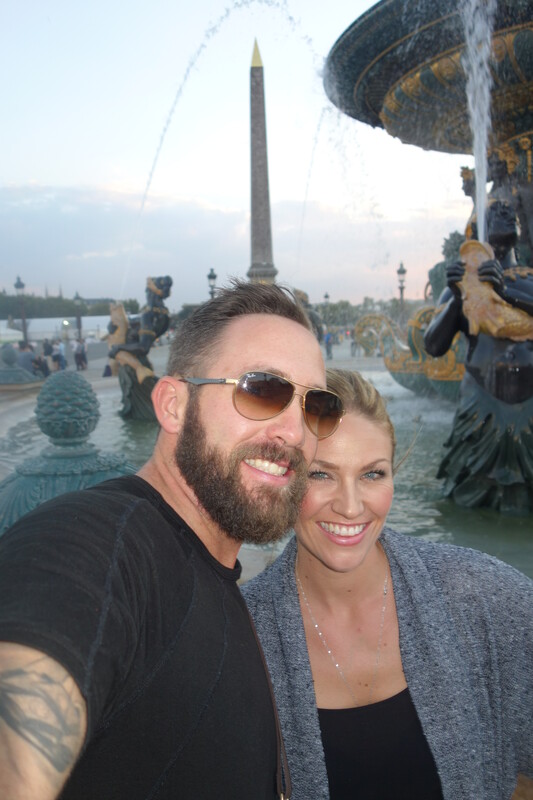 Many more updates on our Parisian adventures to come! « Paris is for Lovers. Our trip part one!